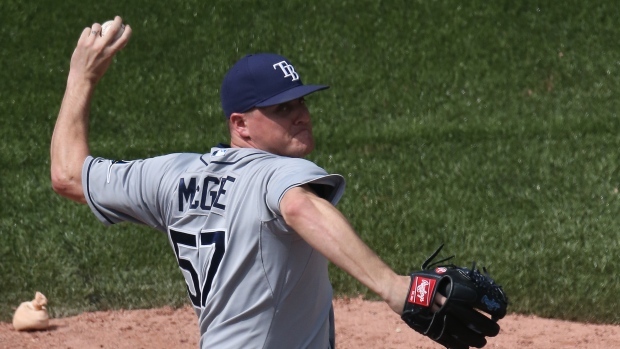 HOUSTON - Tampa Bay Rays reliever Jake McGee will have surgery on his left knee Friday and could miss the rest of the season. The Rays said McGee is expected to miss from six to eight weeks. The regular season ends on Oct. 4. McGee was injured on Tuesday night and an MRI on Thursday that revealed a meniscus tear in his knee. He was placed on the 15-day disabled list and rookie left-hander Enny Romero has been recalled from Triple-A Durham. McGee is 1-2 with a 2.57 ERA in 36 games this season. Manager Kevin Cash says: "It's frustrating. Jake is such a big part of our bullpen, part of our team."